Riding through the varied landscapes of Iceland is truly an otherworldly experience. 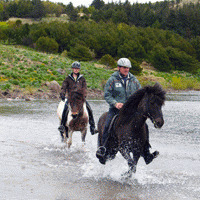 Equitrekking begins the journey with a short lesson on how to ride the small, but mighty Icelandic horse, before trekking on horseback through the lava fields and over the diverse terrain that the Icelandic horse is bred to conquer. 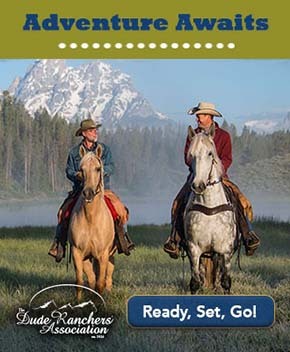 Viewers learn about the history and personality of this intelligent, good-natured horse. Darley explores the special five gaits that these purebred Viking Horses can master, including the smooth glide of the tolt. 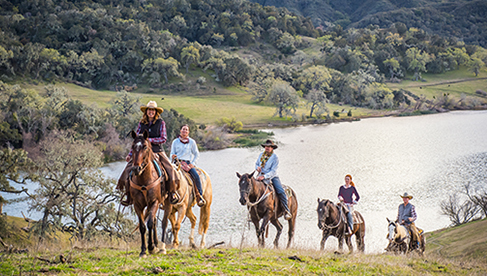 Traveling with local farmers, Darley participates in a traditional horse drive. She heads off driving a herd of around fifty horses towards Gullfoss, Iceland’s “Golden Waterfalls.” It's a harrowing and fun look at modern Icelandic culture, as horses and riders cause a traffic jam on the Ring Road, Iceland's main highway. Next, Darley rides through a stunning area of deep red pseudocraters that are more than 4600 years old with Iceland’s most famous rider, nicknamed Diddi, the Golden Rider. It's time to explore Reykjavik. Darley checks out the thriving nightlife scene and hits the spa, soaking with the locals in hot pots. Finally, Darley heads to a glacier to snowmobile. Rich history and wonderful culture are all part of the adventures in Iceland, the Pearl of the North.